Sweet potato fries are one of my favourite comfort foods. Their sweet, starchy flavour makes them extra delicious. But, it also makes them hard to replace. Since sweet potatoes are safe in small servings, these low FODMAP sweet potato fries are made with a mix of sweet potatoes and regular potatoes. That way, you can enjoy this classic comfort food in a safe serving size. These low FODMAP sweet potato fries are the ultimate comfort food. They’re hearty, filling, and taste great with everything you’re not supposed to eat. Hamburgers? Check. Chicken wings? Check. Ribs? Double check. They’re like a partner in crime on every artery-clogging adventure, so pick your poison and enjoy. Think these low FODMAP sweet potato fries sound great, but you don’t have time to try them now? You can PIN THIS POST for later. These low FODMAP sweet potato fries are a classic comfort food. Check out the notes below for tips on keeping this recipe FODMAP friendly. Monash University says sweet potatoes are safe in servings of 1/2 a cup. Since servings of 3/4 cups or more are high in the polyol mannitol. So, you need to measure carefully. This recipe also uses regular potatoes. According to the Monash app, potatoes don’t have any FODMAPs. So they won’t add to your FODMAP load. I normally make this recipe with the potato skin on. If you have trouble digesting high fiber foods, you might want to peel your potatoes. This will lower the fiber and make them a little easier to digest. 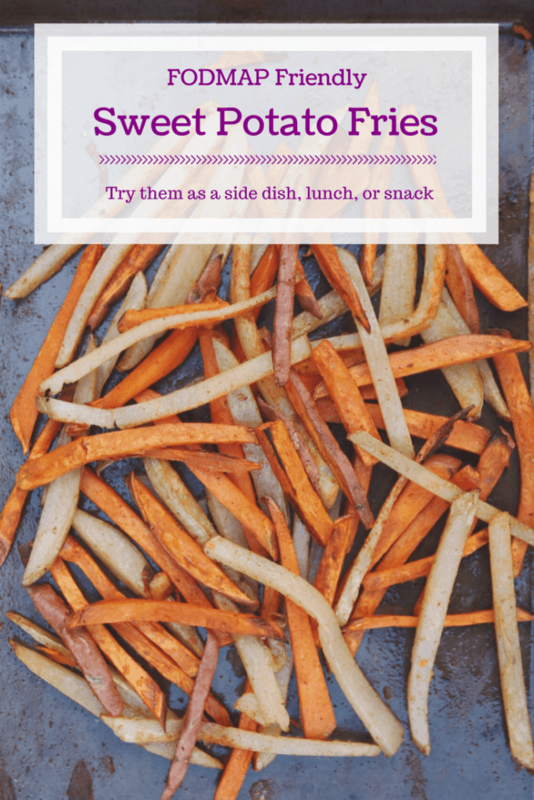 You can use these low FODMAP sweet potato fries any time you would use regular fries or roasted potatoes. Some of my favourite pairings are hamburgers, pulled pork sandwiches, or a good steak frites. Want to try these low FODMAP sweet potato fries? Don’t forget to PIN THIS RECIPE for later. Looking for a FODMAP friendly comfort food? Try these low FODMAP sweet potato fries. This classic recipe is the perfect sidekick for all your favourite artery-clogging adventures. Preheat oven to 450 degrees. Place sweet potatoes, potatoes, olive oil, cumin, paprika, oregano, salt, and pepper in a large bowl and toss to coat potatoes evenly. Spread potatoes out on a baking sheet in a single layer and bake for 15-20 minutes. Shake halfway through to prevent sticking. Serve warm! Place egg in the bottom of a tall container (I use a mason jar). Add garlic-infused oil, olive oil, and lemon juice to the container and allow them to settle for about 1 minute - your egg should separate to the bottom of the jar. Place your emersion blender to the bottom of the jar and blend for 20-30 seconds without moving the blade from the bottom of the jar. Done! Make sure you use a lightly flavoured oil for your garlic aioli! Using a heavy tasting oil will overpower the aioli and it will not be a pleasing experience. Trust me on this one! I hope these low FODMAP sweet potato fries add some comfort food to your diet. If you like this recipe, subscribe to my mailing list below. 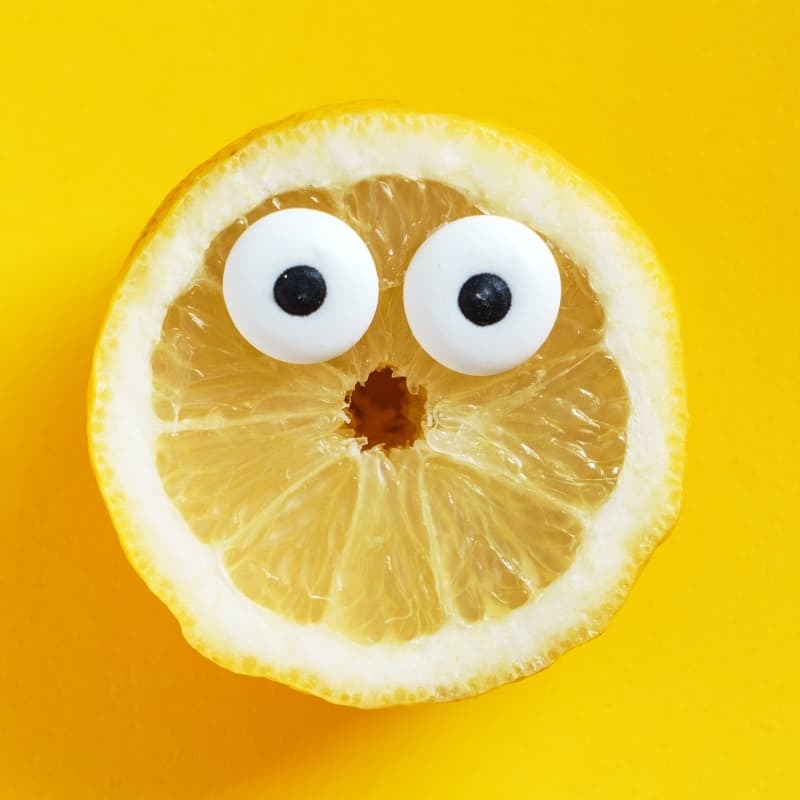 You’ll get new articles and low FODMAP recipes delivered right to your inbox. 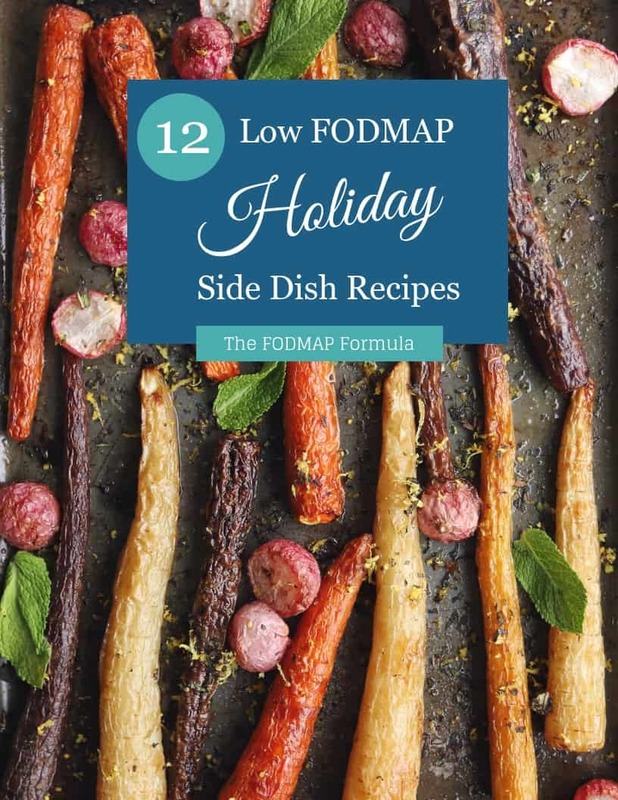 Need more low FODMAP ideas? Follow me on Pinterest for even more inspiration. Together we’ll get the Low FODMAP Diet down to a science!